The Archangel Ancient Tree Archive, in Michigan, is sending 100 young redwoods to a retired Boeing employee in Seattle. Anyone have room to grow them? One hundred trees are on their way to Seattle, in search of a forest. 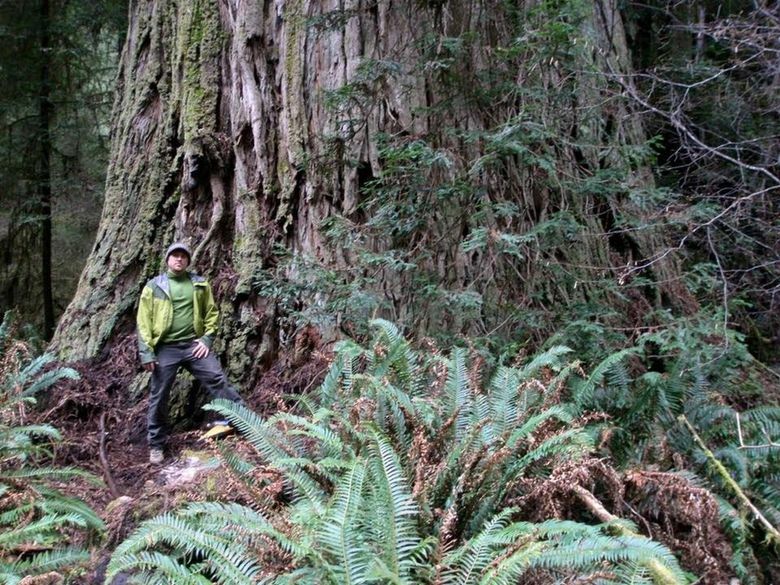 Grown from some of the largest redwoods on Earth in the redwood forests along the U.S. West Coast, the 6-foot trees are intended to be a genetic archive of ancient trees and gift to the future. But first, 71-year-old Philip Stielstra of Seattle has to find a place to plant them. Any day now, the trees will be packed up from the greenhouse in Michigan where the Archangel Ancient Tree Archive has been raising cuttings taken for propagation from ancient redwood giants in California. Do you have room for trees? Out of funds to continue housing the trees in a greenhouse through the Michigan winter, David Milarch, co-founder of Archangel, told Stielstra, a fan of his work, he was sending the trees to Seattle. Stielstra was too smitten with the idea to refuse. Stielstra is no stranger to challenges. For his 70th birthday, he decided to get 300 of Archangel’s saplings shipped to Seattle, where he distributed the trees for free to some 30 communities around Puget Sound. This is phase 2 of his dream to be part of Archangel’s assisted migration vision, providing a safe haven for the giant coastal redwoods as climate change affects their California coastal habitat. His dream is that someone out there, somewhere in the Pacific Northwest, has enough property and the wherewithal to keep the grove of giants-to-be together, planting them in a forest that only future generations will ever see in its grandeur. The trees will arrive on a refrigerated truck by the last week of June or first week of July. So Stielstra is sure hoping someone steps forward by then. Why trees? Why these in particular? Why not, at age 71, just be retired from Boeing and call it good? For Stielstra, that is not the plan. “I decided what I wanted for my 70th birthday was to be able to know at 90 that I planted some trees,” Stielstra said. Those 300 seedlings last year were just the start. Now, he’s going big. Six feet big. To Stielstra, there is just something so special about a redwood grove, he can’t imagine Earth without that experience. Ever. With its more temperate climate, the Pacific Northwest could be a Noah’s Ark for wonder, far into the future. Besides, these are some special redwoods. They were propagated by Milarch, who divided the 500 miles of redwood forests along the coast into five segments, and collected samples from some of the largest trees in each. The trees arriving at the end of the month are from those scions, the biggest of the big. Each cutting is in a 30-gallon pot. “They are so unique, it is a microcosm of the entire redwood range; these are not just any redwoods,” Stielstra said. Ask him just what it is about him and redwoods and he goes quiet. Pauses a little longer. Now, he just needs a place where awe can grow.